My last sandwich is a burger that's not a burger. 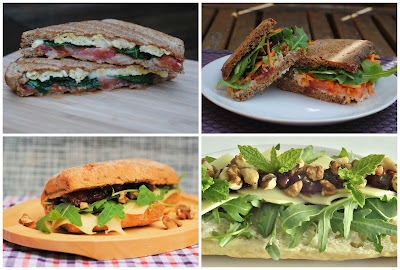 I've had a fun week coming up with new recipes for sandwiches using Leerdammer cheese. I've made a new take on a BLT, a falafel stack on a crusty baguette, deep filled quesadillas and summery pinwheel sandwiches. For my last sandwich I decided to make a mushroom burger. A big juicy roasted mushroom, on top of crispy golden halloumi cheese, topped with roasted red pepper and finished with a slice of melted Leerdammer. A fabulous end to the week. A juicy roasted mushroom on top of golden halloumi cheese, topped with red pepper and melted Leerdammer cheese. 1. Slice the bin in half and set aside. 2. Roast the mushroom on a baking tray in a hot oven for 10-15 minutes until succulent.3. While the mushroom is cooking, dry fry the halloumi in a frying pan until golden on both sides.4. 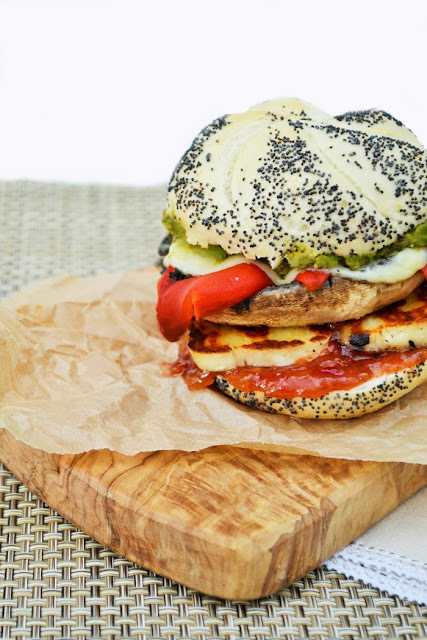 Spread the bottom of the bun with relish and top with halloumi.5. Next add the burger and red pepper, then top with Leerdammer cheese slices. Place under a hot grill until the cheese is bubbly and melted.6. Spread the top half of the bun with pesto and top the burger with it.7. Enjoy! 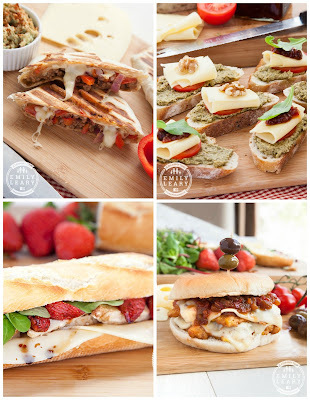 I hope I've inspired you to try something new for lunch this week. Tomorrow I'll be bringing you my ultimate sandwich post, so watch out for that. Disclosure: Leerdammer are paying me to develop recipes for them. I was not required to write a positive review and any opinions expressed are my own. Oooh I'm loving the sound of this! I've never thought of using a whole mushroom as a burger replacement! Awesome! It's a great replacement burger Elizabeth. So succulent and tasty. We are very tempted to try making these! So many gorgeous flavours in one bun. How did you manage to eat them without messy collapses though? That looks delicious! Leerdammer is one of my favourite cheeses... thanks for reminder, haven't had it for ages. Ah good and yes it's rather nice and super handy for adding to sandwiches and wraps. Thanks Nazima, hope you try it sometime.